…amateur playwright Edward Martyn, 38, has invited his neighbour, Lady Augusta Gregory, 45, to tea. Her home, Coole Park, is over six miles away from his, Tullira, so they don’t see each other too often. Augusta wants to meet Martyn’s house guest, the poet William Butler Yeats, just turned 32, who has been traveling around this part of the country for the past week or so. Yeats and Lady Gregory have met briefly before, in London, where she held salons at her flat when her husband Sir William Gregory, Member of Parliament, was alive. Now she spends most of her time here in her native Ireland, raising their son Robert, 16, and trying to learn Irish. Martyn is not particularly sociable. Or neighborly. But on this occasion he figures Augusta will keep the conversation going. He’s already angry with Yeats for having invoked some sort of ‘lunar power’ the other night. 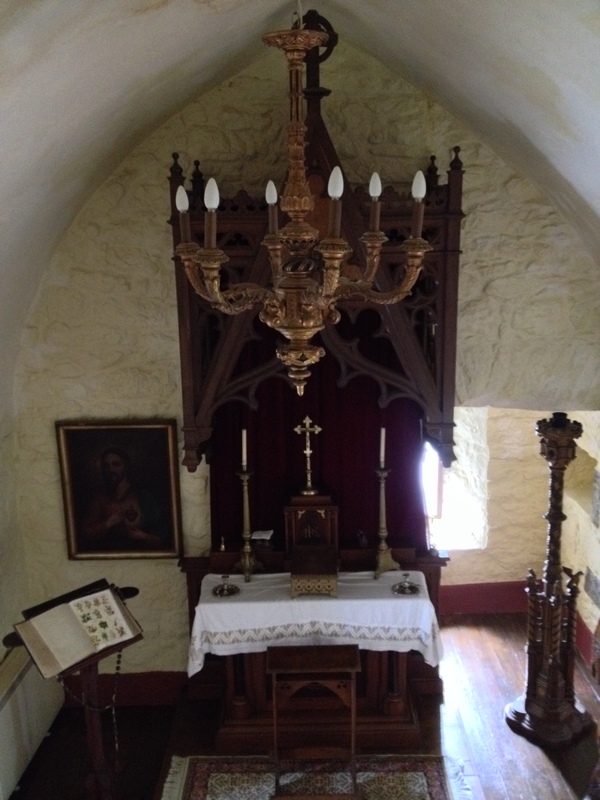 And in the room right above his chapel! These Protestants have no respect for the religion of others, particularly Catholics like Martyn. Besides, Willie and Augusta just might get on with each other. …everyone is enjoying the Raftery feis. Poet William Butler Yeats, 37, is there with his father and brother, both painters, to support his friend Lady Augusta Gregory, 50, who has been planning this event for the past two years. In her research into Irish folklore, Augusta had discovered Raftery, the legendary 18th century blind Gaelic poet. 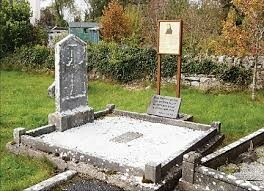 Upset to learn that his grave here in Craughwell was unmarked, she organized a ceremony a few years ago to set up a stone cross. Now that she’s bought a real headstone, a whole festival is being held to celebrate it. There’s quite a crowd. Have they come to honor Raftery or for the singing, dancing, flute playing and prizes? Yeats has come so as not to disappoint Augusta. Ever the hostess, Lady Gregory is inviting some of the festival goers over to hers, nearby Coole Park, for some play-reading. 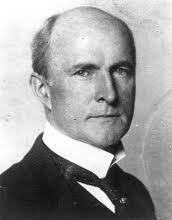 Mostly those involved in their Irish theatre project, such as Yeats and Gaelic League president Douglas Hyde, 42. And an American tourist she’s been chatting up, lawyer John Quinn, 32, who is on his first trip to Ireland, searching for his roots. 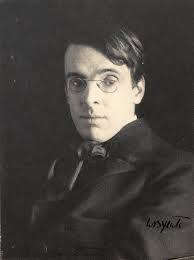 …poet William Butler Yeats, just turned 32, traveling with a friend, visits a mutual acquaintance, amateur playwright Edward Martyn, 38, at the Martyn family home, Tullira. Lady Augusta Gregory, 45, a friend of Edward who lives a few miles away, stops by. Willie and Augusta [OMG! That’s our cats!] have met before in her London apartment where, as wife of an MP, she held salons for the Irish Protestants living there. But this is the first time the two have had a chance to get to know each other. 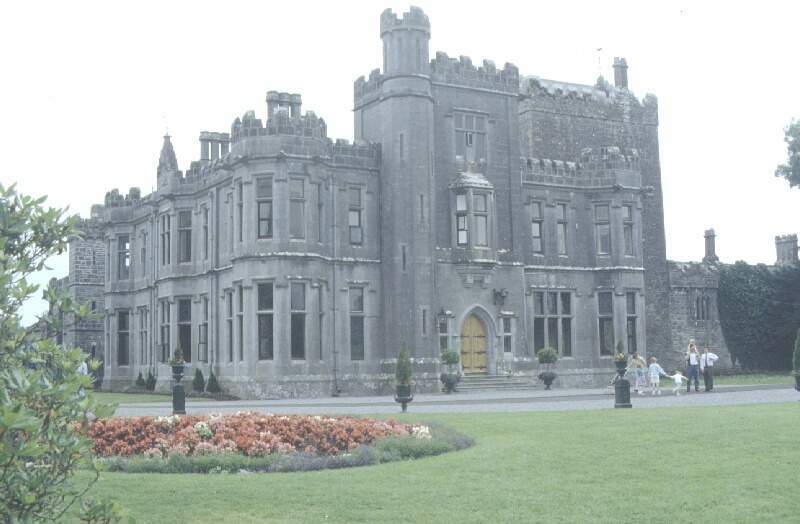 To continue the conversation, Augusta invites Willie and Edward over to hers, the nearby Coole Park, family home of her late husband, MP Sir William Gregory. 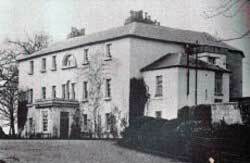 Coole House, which is no longer standing, located in Coole Park which is open to the public. As Yeats marches around the drawing room dictating, Lady Gregory types, and they draft letters to send to her wealthy and influential friends, asking for money to start their theatre. 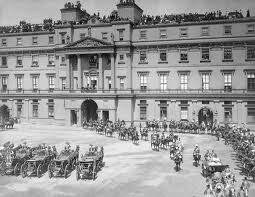 …the Diamond Jubilee of the reign of Queen Victoria, 78, is celebrated. In London, before her procession through the streets begins, the monarch visits the central Telegraph Office to send a message to her subjects across her empire. Siblings Virginia, 15, Vanessa, 18, and Thoby Stephen, 16, watch the parade from the window of the hospital where they are visiting their half-sister who is ill. But in at least one part of the Empire, Dublin, Ireland, there are organized protests. 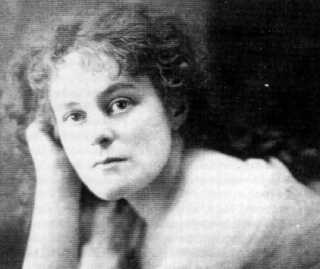 Poet William Butler Yeats, just turned 32, is there with his much beloved Maud Gonne, 30, political activist. She has been involved in the resistance to celebrating the ‘Famine Queen’s’—as Gonne calls her—60 years on the throne. At the National Club in Rutland Square, Yeats has the doors locked to keep Gonne inside until she can explain to him what she is going to do. ‘How do I know until I get out? !’ Gonne asks. The Irish La Pasionaria races out into the square and delivers a memorable speech demanding, ‘Must the graves of our dead go undecorated because Victoria has her Jubilee?’ Riots ensue. The next day, Gonne leaves to recuperate in France; Yeats heads off to travel through the north and west of Ireland with friends. 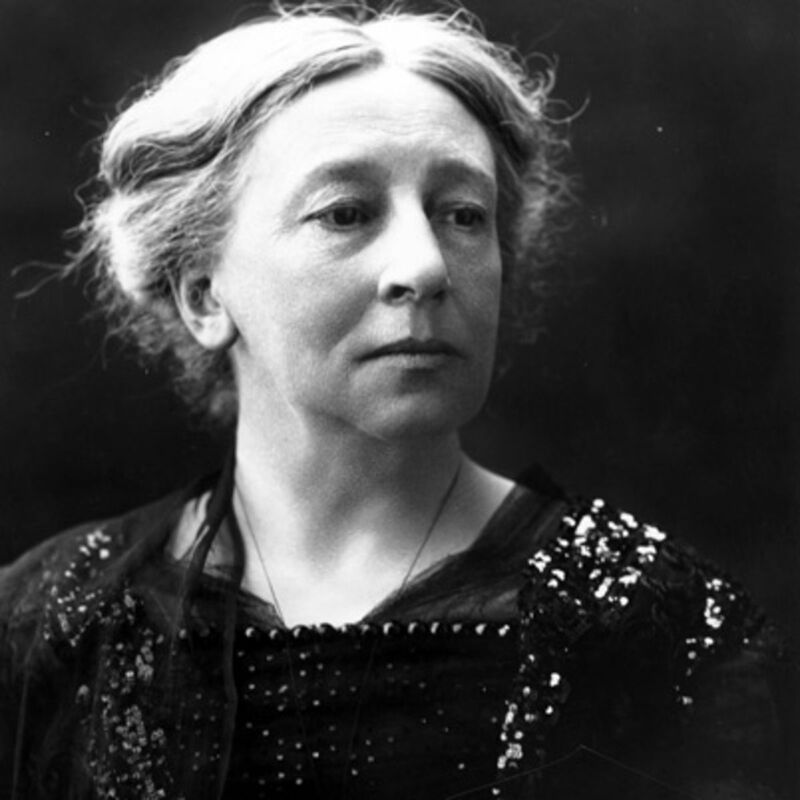 A production of The Wrens, a one-act play by Lady Augusta Gregory, 62, is playing in London. One of her fellow Abbey Theatre founders, George Moore, also 62, is in the city, but they haven’t spoken for years. Painter Vanessa Bell, 35, is with her art critic husband Clive, 32, and his family at Cleve House in Wiltshire. 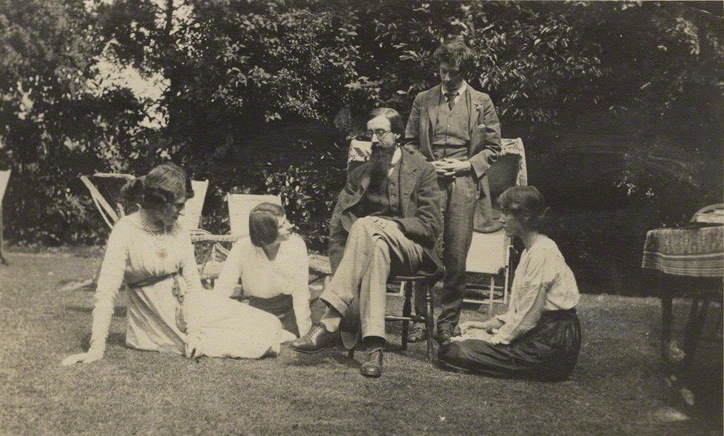 Their friend, biographer Lytton Strachey, 34, is nearby in Marlborough, working on his essay, ‘Cardinal Manning.’ With all the talk of war, he is a bit worried about his sister who is travelling in Germany. Vanessa’s sister, Virginia, also 32, is with her husband, Leonard Woolf, 33, farther east at her Sussex country house, Asham. 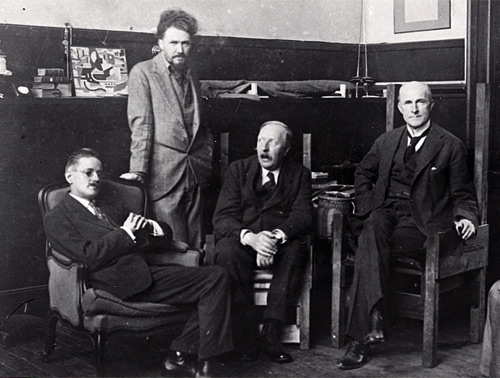 In Cambridge, visiting Americans Gertrude Stein, 40, and Alice B. Toklas, 37, have just been introduced to philosopher Alfred North Whitehead, 53, and Alice has heard bells. ‘I always heard bells when I met a genius,’ said Alice later. They may not be able to go home to Paris for a while, so Alice reluctantly wires her estranged father back in San Francisco for money. Cambridge economist John Maynard Keynes, 31, is at Westminster. Two days before, at home proofreading his book A Treatise on Probability, with his friend Bertrand Russell, 42, Maynard received a letter from a friend at the Treasury that said, ‘I wanted to pick your brains and I thought you might enjoy the process.’ He knew the discussion would be related to the beginnings of war in Europe, and so hitched a ride in the sidecar of his brother-in-law’s motorcycle to get to London over the bank holiday weekend ASAP. At 11 pm, after Germany has invaded Belgium, despite the British request for assurances of Belgian neutrality, Great Britain officially declares war.